Lake Tahoe is a winter sports enthusiast’s dream. With its quality terrain and snow, the picturesque environs of Tahoe attract athletes from not only traditional disciplines like skiing and snowboarding, but also snowmobiling. Lee, like many of his fellow pro sledders, got into the sport by accident, initially using it as a means to access remote backcountry spots for the purposes of skiing and snowboarding. More and more professional athletes are turning to sleds as a way to pursue their athletic endeavors. The snowmobilers in Lee’s crew, and others like them, are not putting around on flat-trail joyrides. Lee rides a backcountry machine. “We’re doing the same thing as skiers and snowboarders—big descents, over-the-head powder terrain, jumping off big [things],” Lee says. 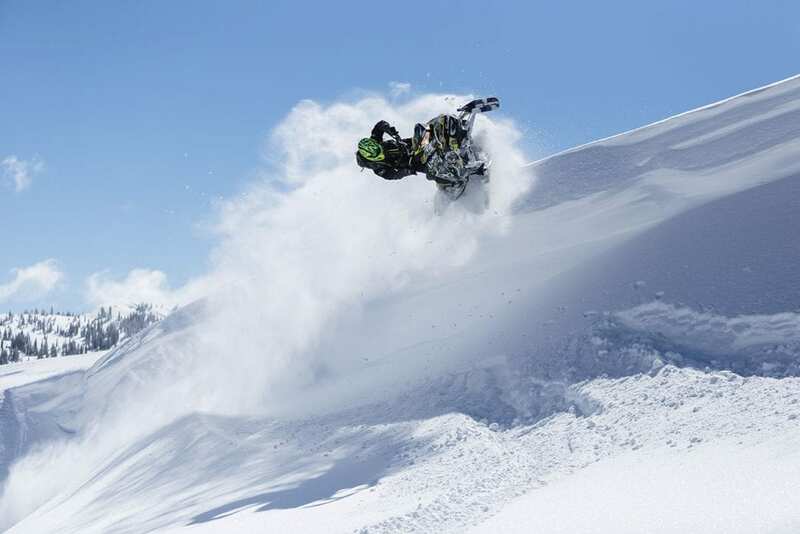 Tahoe resident Justin Sheaff, another professional snowboarder turned snowmobile enthusiast, says there is a simple and concise method by which to identify an elite-level sledder. Sheaff likes to take his sled into the forest, maneuvering it around trees, but also making use of drainage features and canyons to pull tricks. Justin Befu, who spends part of the year guiding snowmobilers through remote parts of Alaska, says snowmobilers are often after the same things that draw skiers and snowboarders to the backcountry. Lee, Randy Sugihara, Ken Evens and Grant Korgan started a group called Alpine Assassins in 2008, and have since released seven films that document their backcountry exploits. But Lee says the organization is changing hands and he is focused on a new enterprise called Let’s Ride Adventures, which combines his passion for education with the snowmobiling films that made his name. He and Sheaff also teach avalanche courses on a regular basis throughout the Tahoe Basin and elsewhere. Both Befu and Sheaff acknowledge that they do not ride as aggressively as Lee, who’s been known to launch his machine off cliffs and over 150-foot gaps in the backcountry. Lee, though, is modest when it comes to describing his own knack for pushing the envelope in what can be a dangerous motorsport. He adds that injuries and age have caught up to the point where he is more interested in the quest for powder than airtime. Lee will never forget the day his best friend, Grant Korgan, overshot the landing of a jump in the Sonora Pass backcountry and shattered his first lumbar vertebrae upon impact, leaving him paralyzed from the waist down. Although the quick actions of Lee and friends Ryan Oddo and Ken Evens helped save Korgan’s life, the accident illustrates the fact that there is no shortage of danger for the burgeoning motorsport. It is that presence of danger that makes Jim Rippey’s accomplishment so staggering. Regarded as one of the best pro snowboarders of his era, Rippey became the first person to land a backflip on a snowmobile in 2001. Rippey, who grew up in the small logging town of Quincy, California, moved to Truckee after a short stint on the football team at Cabrillo College in Santa Cruz. He picked up snowboarding at age 19 and within a few months had learned to spin and flip. In only his second year of riding, he was a sponsored professional, earning a reputation as one of the most aggressive and acrobatic riders in the world. He was featured heavily in popular snowboard films throughout the 1990s, often filming with local crews in the Tahoe backcountry. At some point, Rippey caught wind of a rumor that a kid had tried to do a backflip, albeit unsuccessfully. “I never thought about flipping the machine, because if something goes wrong and you have a 700-pound machine land on top of you, it could definitely kill you,” he says. In fact, when Rippey first devised his plans to flip a sled, his friends and his wife begged him not to try. But Rippey, who is a devout Christian, says that when he approached doing something dangerous, he felt a “peace that surpasses understanding.” He also says he felt God’s presence on the fateful spring day in Utah’s Wasatch Range. He and his fellow sledders almost didn’t head out, as the forecast called for rain. But Rippey decided to go when he espied some sun holes in the cloud cover. Off the backside of Brighton Resort, Rippey and crew found a perfect wind lip that just needed some additional shoveling. Rippey says he thought the mistake of others who had tried and failed the backflip is that they came off the snowmobile, as opposed to sticking to the machine. So he tried again, this time making the transition less vertical. Although he came up short, he realized then that he could do it. “Just judging by the centrifugal force, I could tell that the snowmobile wanted to flip,” he says. Meanwhile, dark, foreboding clouds moved in as Rippey tried a third time. He again came up short. “The sound of a 700cc engine that is wide open just naturally makes you want to let go,” he says. On Rippey’s fourth try, he went too fast and too big and overshot his landing. By this point it was 6 p.m., the sun was about to sink below the horizon and the ominous clouds had opened up and started dumping rain. “I was thinking, ‘We need to get out of here,’” Rippey says. But then, he saw a few sun holes in the clouds. He prayed for one more opportunity. Almost immediately, a sunbeam broke loose of the clouds and illuminated the jump. Rippey took it as a sign. ESPN awarded him Feat of the Year. “It’s something I will always remember,” Rippey says. 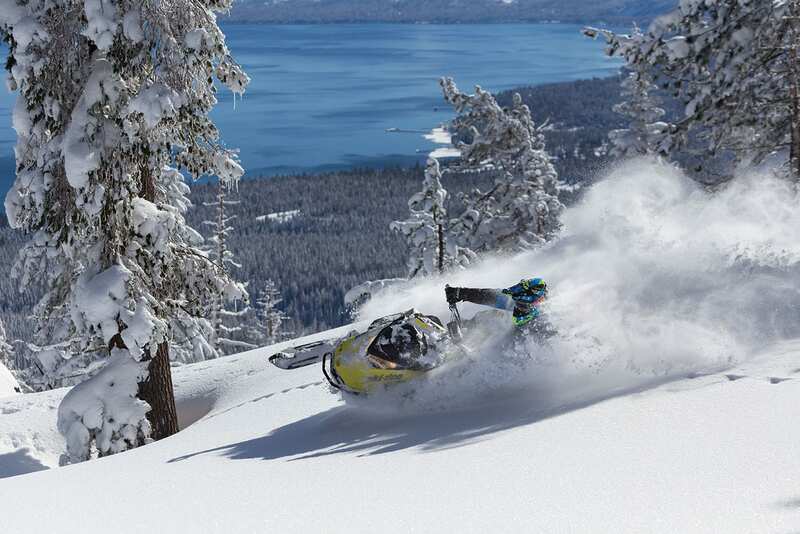 Snowmobiling is not without its controversies in the Tahoe Basin. “The Forest Service is aware of conflicts between user groups, which often focus on noise and philosophical beliefs on the appropriate uses of public lands,” says Lisa Herron, a public affairs specialist with the Lake Tahoe Basin Management Unit (LTBMU). The management unit is currently working on finalizing a Winter Travel Management Plan. The intent is to strike a balance between user groups—touring skiers and riders who want solitude and quiet in the backcountry and snowmobilers who want to engage in the sport they love. But Sheaff says there have been improvements in engine technology, not the least of which is the transition to a four-stroke engine, which burns fuel cleaner and more efficiently. Befu also points out that most of the snowmobiling, unlike dirt bikes, happens on snow, so the impact on vegetation is minimal. 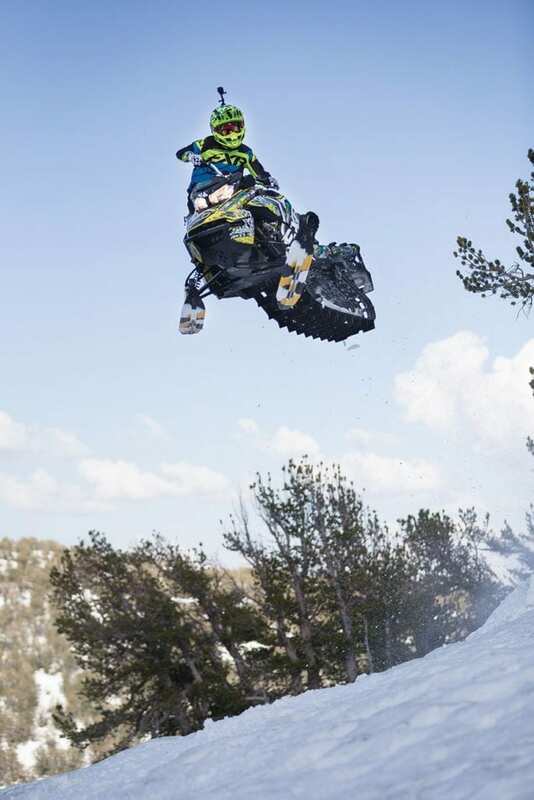 But critics say sleds pollute the backcountry, that the noise is a nuisance and that the sport can have a particularly negative impact on wildlife that may be scared off by the machines. 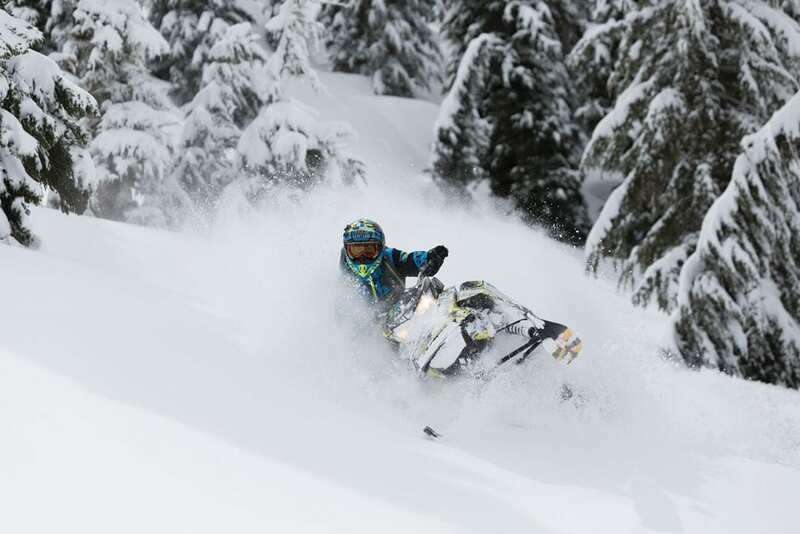 In the Tahoe Basin, only about 50 percent of the public lands are currently open to snowmobiling, and the Forest Service hopes to have its plan finalized by next spring to determine whether those boundaries will remain, expand or contract. “The LTBMU is looking to continue balanced access for both motorized and non-motorized groups, which may include adjustments to existing boundaries in order to improve user experiences and protect the environment,” Herron says. Sheaff argues that snowmobiling is an economic incubator and that officials need to be careful not to be too restrictive. Matthew Renda is a Santa Cruz–based writer who would likely end up in a tree well if he ever ventured out on a snowmobile.